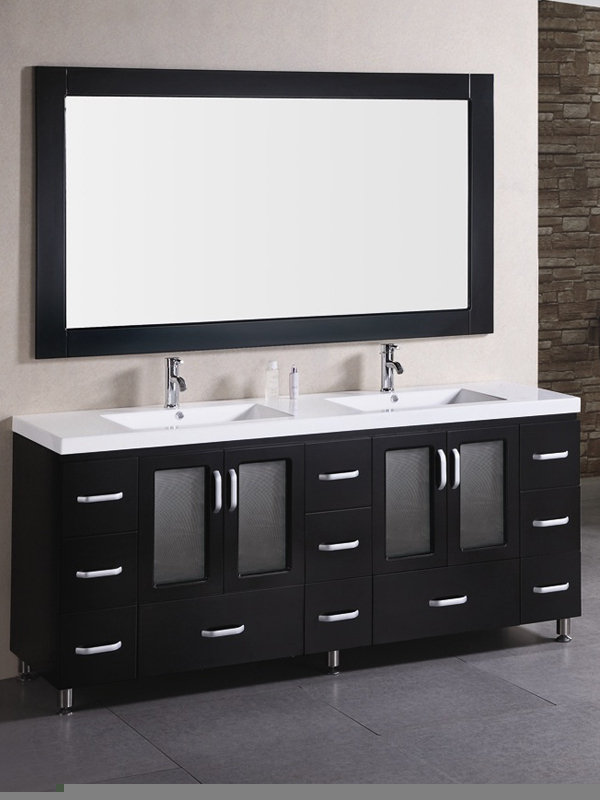 The 72" Stanton Double Vanity features a great modern style with its minimalist design, espresso finish, and nickel-finished hardware. 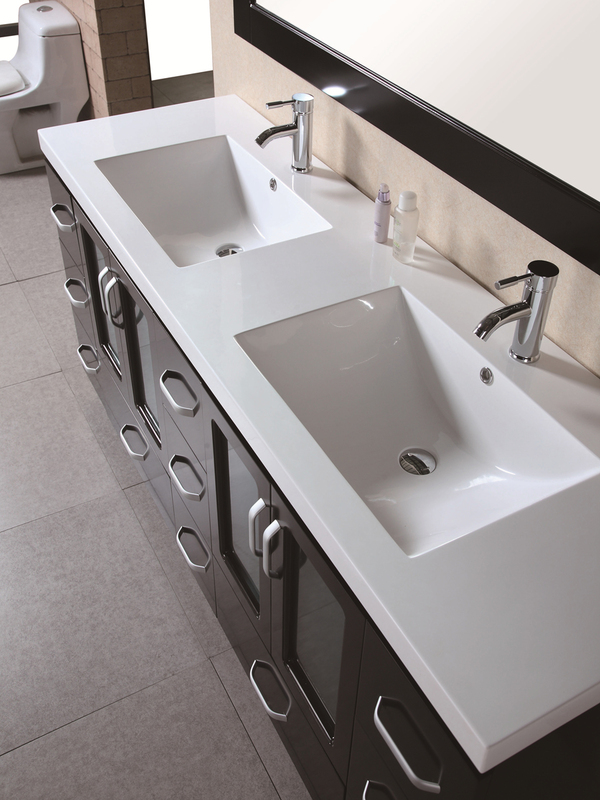 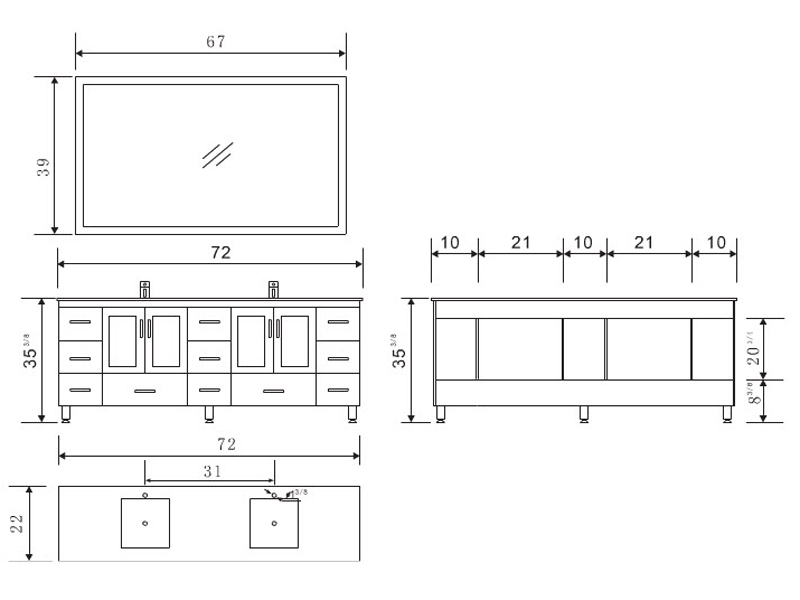 The integrated sinks and countertop, along with the simple cabinet structure, help develop the clean lines of the vanity. 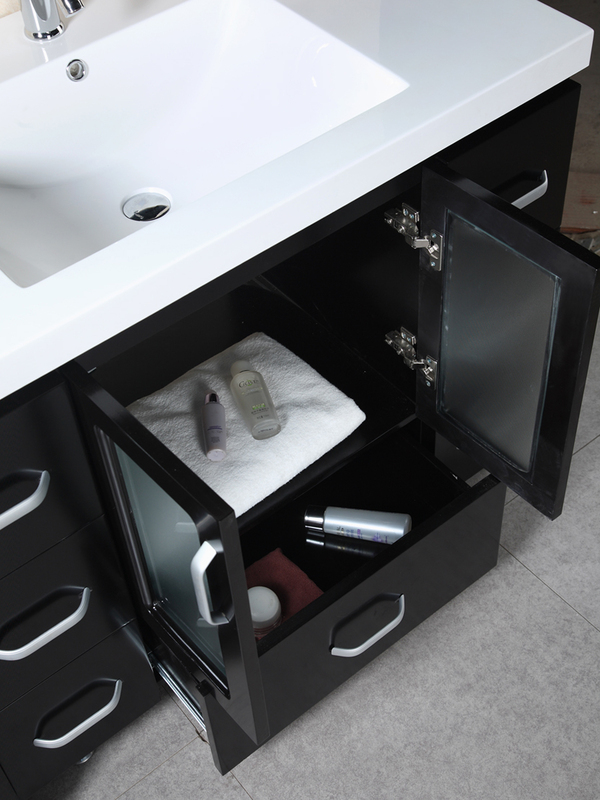 This vanity has plenty of storage with eleven pull-out drawers, and two cabinets with soft closing hinges. 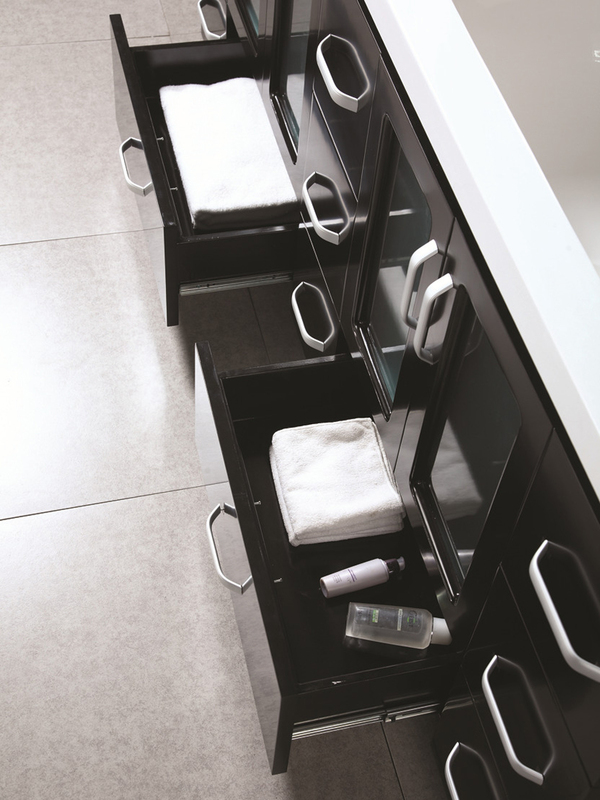 Its ample counter space also makes this vanity incredibly practical. 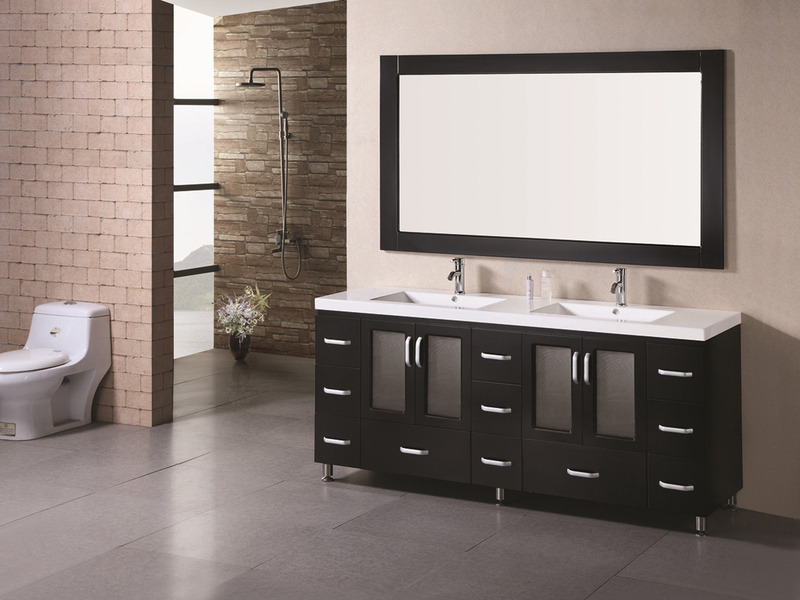 An espresso framed mirror is also included to give your bathroom a completely modern look.